Like all girls I grew up playing with the house of Barbie, but those brightly coloured floors, the plastic furniture so unrealistic, the yellow lift... I did not like at all! This, coupled with my passion for selfmade things, inspired me to keep a big dream: building a "true" dollhouse! Several years later, during a vacation in Paris, I discovered a hobby shop with a department devoted to dollhouses. Thus was born Marie Charlotte, my first miniature Patisserie. A few years later, I received a gift from my cousin, a catalogue of American dollhouses: I discovered that what for me was only a dream, for others it was a real passion! I bought the project to build a Victorian house and early furniture in 1:12 scale. This discovery made me look for specialized shops in Milano. 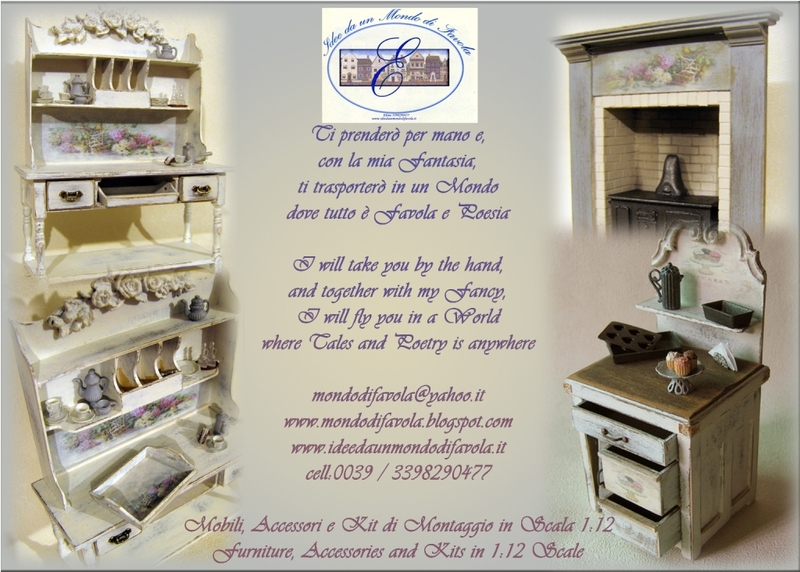 Thus in 1998 I met for the first time Angela Gagliardi of Cosediunaaltomondo, so it was that started my great adventure in the world of miniatures. 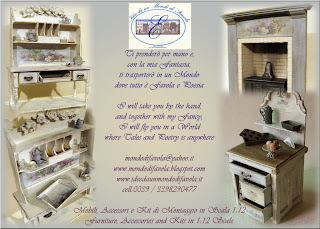 Several years passed before I specialized in creating furniture in 1:12 scale: I then exhibited in 2007 for the first time in a miniature show in Milano, Miniaturitalia and in 2008 I produced my first furniture: designed, created and decorated by Mondodifavola! If you want to dive into my world visit my website! If you want to stay updated on all the news follow my blog!